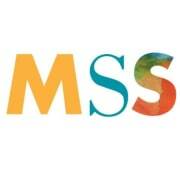 MSS has partnered with Textile Center for some unique project opportunities in 2019. We are seeking 2 or more volunteers, skilled in fabric techniques, to assist adults with disabilities with various textile projects. Volunteers will meet at MSS, and travel with staff and clients to the Textile Center for part of the session, and stay at the MSS center for the other. Volunteers will assist clients with the projects and tasks available, including shibori fabric dyeing and embroidery techniques. Perfect for volunteers with experience in weaving, embroidery, sewing, and fabric dyeing.